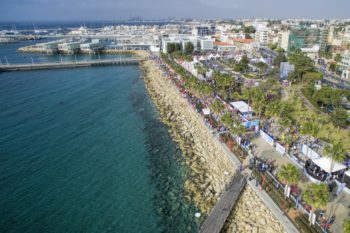 The 13.1 mile route takes runners from the palm tree-lined seafront of Molos, in the centre of Limassol, to the new port, the old harbour and the ancient ruins of the Royal City of Amathus, dating from 1100 BC. It stretches along the beautiful Mediterranean coastline and provides runners with magnificent views and a refreshing sea breeze. Add pleasant spring temperatures of 9-17°C, and low rainfall in March, and it really is an ideal location to run a strong race! The Limassol Half Marathon GSO also offers a number of other events on race day including a full marathon, a 10K Energy Race, a 5K City Race, a 5K Corporate Team Race and a 1K Kids Race, making it a complete sporting experience for all ages and abilities. Overseas visitors can expect a friendly and celebratory atmosphere in a beautiful seaside location, as well as the highest international running standards. An early bird discount for individual race entry is available until 30th November 2016 at a reduced rate of 40%. This is currently €27 / approx £20.50 for the half marathon and will increase to €45 / approx £34. 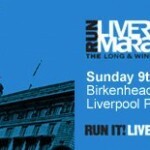 Go to http://www.limassolmarathon.com/ for further details and to secure your place now. 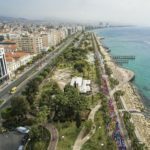 You can also like the Facebook page https://www.facebook.com/limassolmarathon and follow @RunLimassol #RunLimassol to keep up-to-date with all the news.